AcadiaChamber Press: Welcome to New Chamber Member The Wave Radio! Welcome to New Chamber Member The Wave Radio! 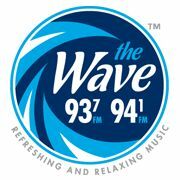 Please tune in to 93.7 or 94.1 and help us welcome our newest chamber members, The Wave Radio! Serving the communities of Bar Harbor, Ellsworth, Bangor and all of Downeast Maine, 93.7 & 94.1 the Wave is your "At Work" radio station. We only play Refreshing and Relaxing Music, with just the right mix of your favorite songs from yesterday and today. Never too hard, or too soft, always just the music you want with local and national news to keep you up to date.